At Pyro Spectaculars by Souza, we do everything in our power to create an event that exceeds your expectations. In order to execute a show flawlessly, a significant amount of planning and prep work goes into each event. We take care of most of the technical, creative, and regulatory aspects of the show, but there are a few additional responsibilities that the client should be aware of. 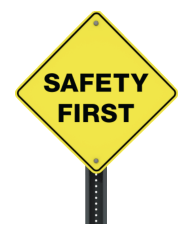 Safety is at the forefront of our decision-making process. Everything that we do will take the safety of the audience, the crew, and the facility into consideration. Our highly trained professional pyro operators will be in charge of executing the show and will work with the client to ensure that the pyrotechnic choices we make are not only spectacular, but also safe. Every Pyro Spectaculars show is unique, with the responsibilities changing on a show-by-show basis. The exact responsibilities of your event will be stated in your show contract; if you have any questions about your event, your show producer will assist you. Below is a brief summary of the major components of your show that we’re going to take care of. We’ll ensure that all the necessary permits, licenses, and fees are taken care of for your event. If there are special regulatory requirements for your show (e.g. noise or time requirements) they’ll be acknowledged in your proposal. We’ll work with fire service personnel to ensure that your show satisfies local regulations. We’re responsible for the transportation of the materials, crew, and equipment to and from the firing location. We’re responsible for obtaining a licensed crew chief that is qualified to produce your show. Our crew chief will be responsible for obtaining the necessary crew to setup, shoot, and clean up after the show. 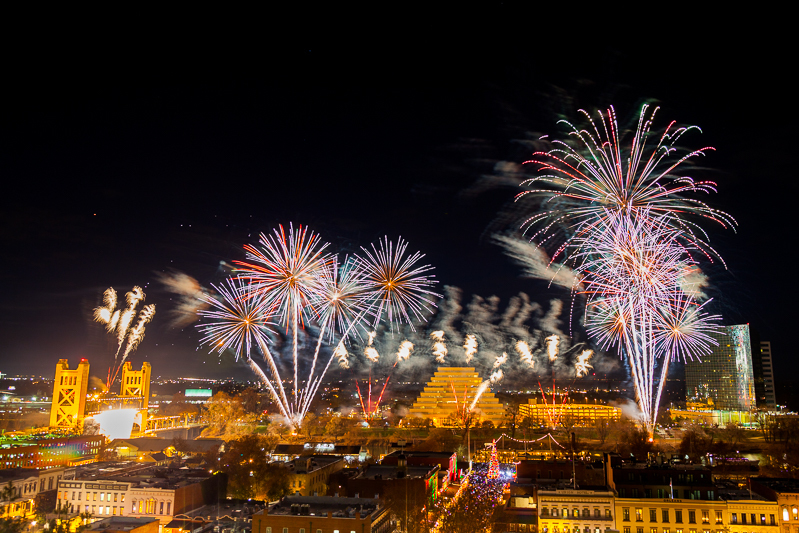 We’ll obtain all the fireworks and fireworks-related materials for your show. We’re responsible for obtaining the necessary insurance to adequately cover show. If your show requires a specialized audio soundtrack, we’ll be responsible for the creation and delivery of the media. Usually, the media will be delivered on the day of the show. Just like the responsibilities we take care of, the responsibilities of the client also vary from show-to-show. Your exact responsibilities will be stated and discussed in the show contract. If you have any questions about what is required of you, your show producer will be happy to help. Below is a brief description of the typical client responsibilities. The client is responsible for obtaining the services of a qualified security firm to provide overnight guard services as well as day-of-event services. The client is responsible for obtaining the necessary permission for the firing location. Pyro Spectaculars does not provide any staging or rigging. The client is responsible for obtaining the necessary equipment for music amplification or video display. Pyro Spectaculars does not provide any audio or video production. If required, the client is responsible for providing adequate power to the firing location. If needed, the client is responsible for obtaining the necessary garbage disposal receptacles. Your show producer will identify the particular size and quantity requirements. The client is responsible for providing adequate restroom facilities for the pyrotechnics crew. If required, the client is responsible for providing any communications equipment to the crew. For example, if it is required that the crew chief communicate with the staging manager to coordinate the start of the show, the client must provide the communications radio. 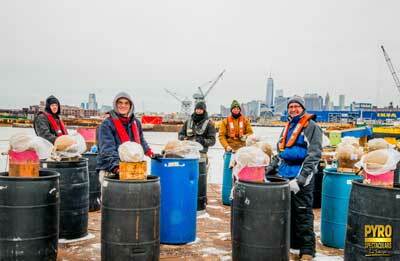 After the show, the crew will dispose of the majority of the firework’s debris. However, any additional cleaning is the responsibility of the client. Our goal is to effectively communicate any and all responsibilities for both parties prior to the show. If you have any questions about your responsibilities—or what our crew will be doing—please contact your show producer for clarification. Once we’ve outlined and discussed each party’s responsibilities, we can start the detailed planning process of executing your show. Then, it’s time for fun and fireworks!